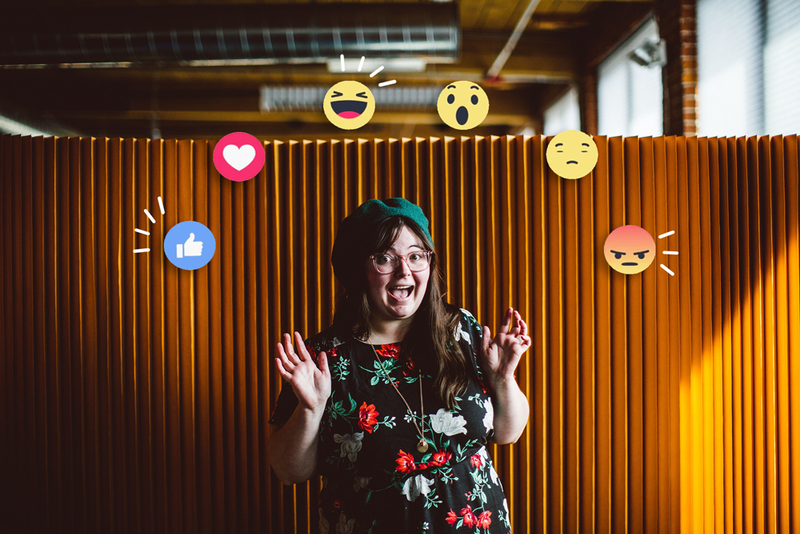 Here at Wistia, we recently began tracking and optimizing for brand interactions — and it’s changed the way we think about our entire marketing and promotional strategy. 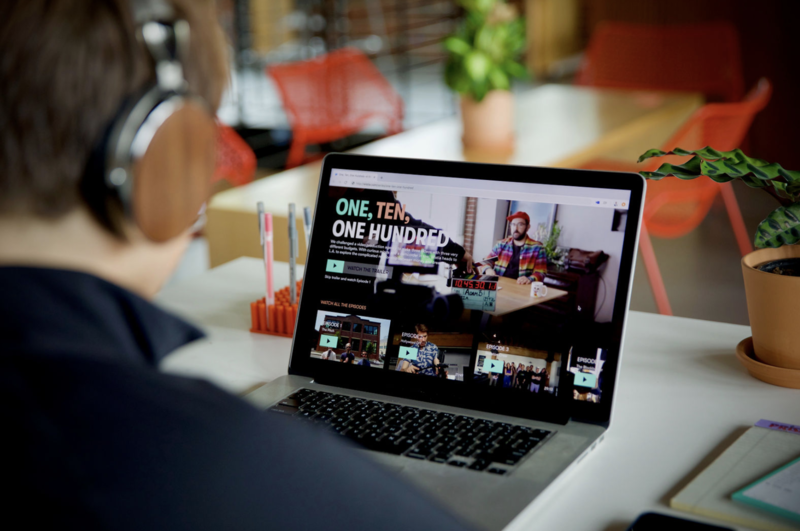 The concept is simple — the more someone interacts with the Wistia brand, the more likely they’ll be interested in trying our software or becoming a brand advocate. And because we use a ton of video in our marketing efforts, over time it became clear that looking to the “Total Time Watched” metric to understand success in this department was key. For those who aren’t familiar, Total Time Watched is defined as the total amount of time an individual viewer has spent watching your content. This indicator helped us quantify an otherwise somewhat ambiguous measure, making it super easy for us to spend more time optimizing for that metric and less time guessing about what’s working and what’s not. But, things weren’t always this simple. 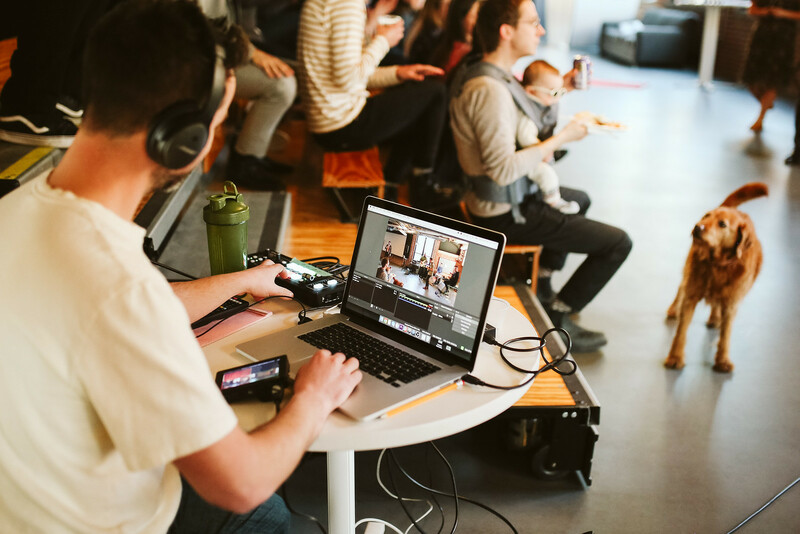 We’ve always believed that building a strong brand experience would help Wistia grow, whether it’s on our website, social channels, or even in the emails we sent to our customers. Conceptually, of course, this makes sense. But it isn’t just a hunch — we’ve seen this confirmed from a quantitative perspective time and time again. 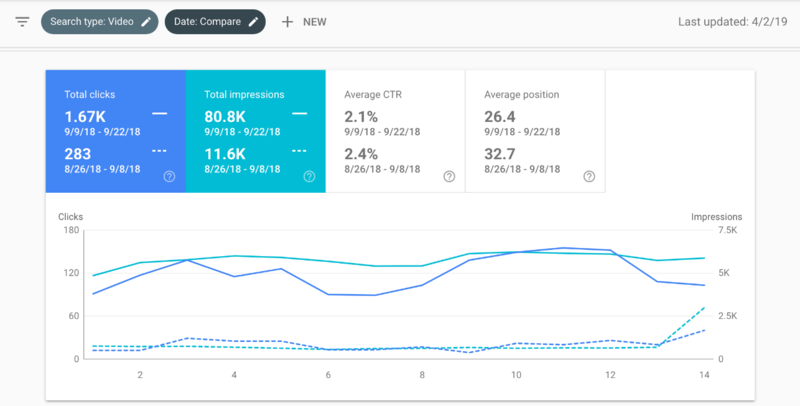 In fact, after doing extensive analysis to understand our highest quality traffic, we found that Wistia website visitors who visited more pages are more likely to become a Wistia customer, and the same was even true for social interactions and email engagement. At the end of the day, we uncovered that the tipping point for conversion was actually a total of nine page visits. If a website visitor views more than nine pages, they’re twice as likely to become a Wistia user than those who have visited less than nine. Pretty interesting, right? So naturally, we started tracking what we called “high potential visitors” (aka people who visited more than nine pages). 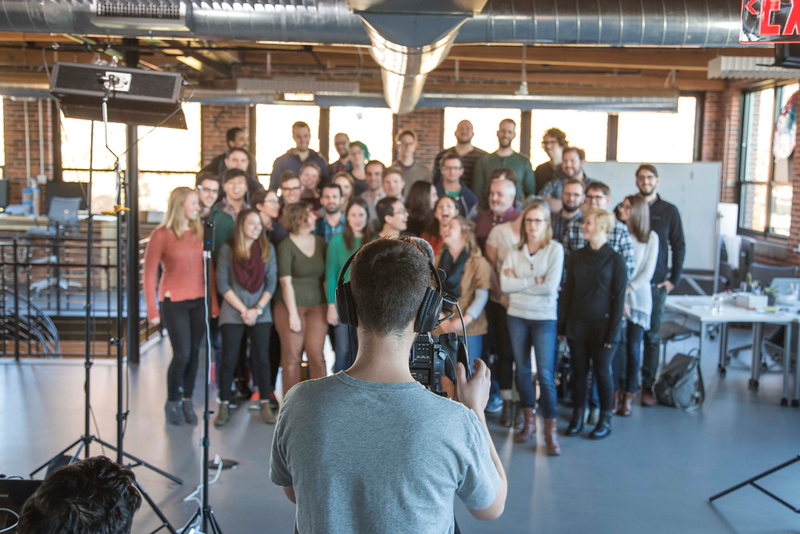 At one point, the Wistia Growth Team even ran a series of experiments with the goal of generating more of them. We tried different website designs and user flows to get website visitors to view more pages. We tried providing nine-pages-worth of value on one page. We tried page designs with nine “sliders.” But none of those ideas really worked — not super shocking. The truth is, these tactics were gimmicky. We were trying to shortcut the process of providing value versus just investing in it. We went back to our roots and started re-investing in our brand, creating more amazing content, and building slick software. But as marketers, we couldn’t help but still be intrigued by the idea of tracking, measuring, and iterating on our work. And that’s where the idea of measuring brand interactions came into the picture. We found our new best friend in one simple metric: Total Time Watched. It’s one thing to just talk about reinvesting in our brand, and it’s another thing to invest $111,000 in it. This past year, we released our first-ever original series, One, Ten, One Hundred. And as part of the promotional planning process, we had several meetings to chat about which metrics to track that would be the biggest indicators of success. 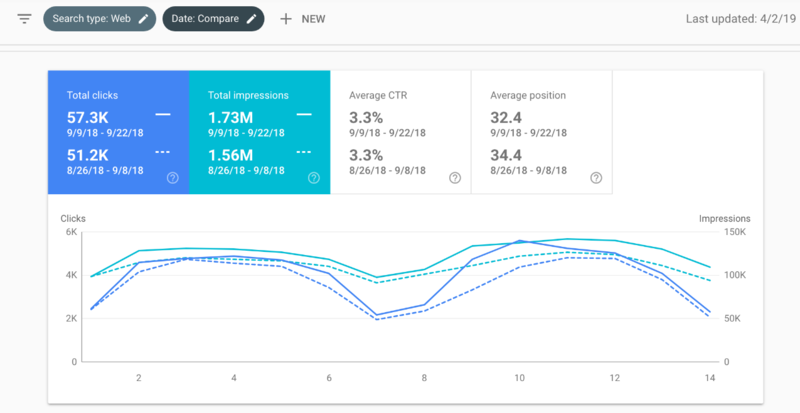 After all, we invested a ton of time, effort, and resources into creating this content and didn’t want to waste a single day optimizing for the wrong metric. 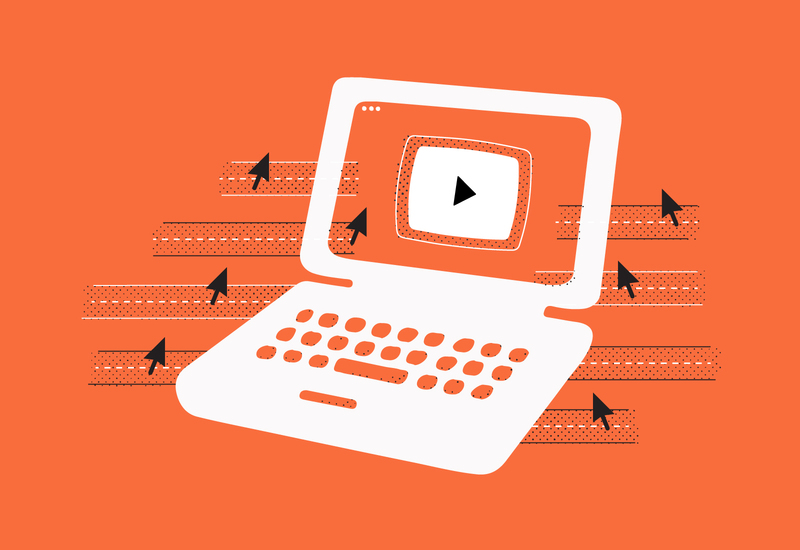 When it came to promoting a video series, however, we needed a slightly different playbook. We wanted to reduce friction for the viewer, provide more content up front, and ultimately, promote our brand. That’s part of the reason why we decided to design a page that put the emphasis on showcasing the video content itself, rather than hiding it behind a form. We researched design choices from companies who also optimize for play time, like Netflix, Amazon, and Hulu, and took notes on how to make the experience on our own website just as good. With our design team focused on creating an incredible experience that would showcase our brand and optimize for that “Total Time Watched” metric, our marketing efforts shifted gears to executing on the promotional plan. 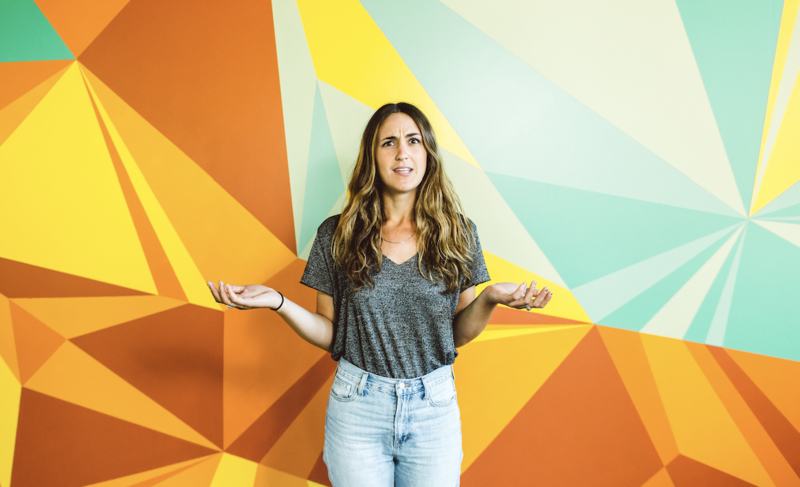 Up until now, we’ve talked a lot about the paid promotional plan for Soapbox on the blog, but we haven’t shared as much about the series promotion itself and how surprised our advertising partners were when we shared that we weren’t optimizing for lead generation. Let’s dig in. After committing to optimizing for Total Time Watched, we started thinking about how to drive the most views to our content. We decided to meet viewers where they are by sharing the trailer for the series on our social channels in full rather than trying to drive users back to our website. We also researched other places where people tend to consume a lot of videos and eventually syndicated the full series on Amazon Prime. This is something we would have never done before had we been focused on optimizing for a metric like product conversions. Behind the scenes, every single decision we made was focused on driving our audience to watch the content. When we took a look at the initial results of the campaign, our team was super excited — Total Time Watched was through the roof. The design team had created a page that clearly encouraged binge-watching the series — 98% of the page visitors watched our content! Plus, those who watched the content, watched a lot of it, and that helped us validate just how high-quality the content really was. It was looking pretty clear to us that our decision to optimize for Total Time Watched was the right one. The average viewer watched around 50 minutes of our video content, which ultimately added up to thousands of hours of video watched on our website and social channels, with thousands more on Amazon Prime. It was a huge risk to not put a lead generation goal on our campaign, but it seemed like our gamble paid off. We saw tons of positive feedback everywhere we looked from forums cropping up on Reddit and discussions on Quora, to social threads that were full of chatter and positive vibes — all signs pointed to success. Focusing on Total Time Watched as our key success metric challenged the way our team thought about promoting content. It impacted our design decisions, changed some of our promotional tactics, and made us question what success really meant. The correlation of someone watching a video and then trying our software. The correlation of someone watching a video and then downloading other content. The number of mentions and shares of the project on social media, direct emails to our team, questions during our live Q&A, and our ratings on Amazon Prime. The data shared an interesting story. 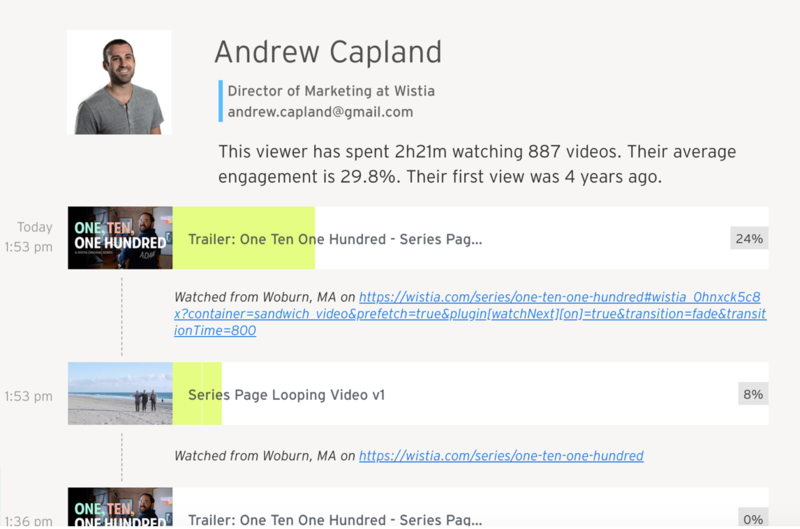 Tons of people who watched the content were already in our database, which was great, but we were thrilled to see that 1.7% of visitors that weren’t had created a free Wistia account since the series launched. Plus, another 2.3% of visitors had gone on to download other content on our website. We had a bit of difficulty gathering a concrete number for total mentions and shares across platforms, but we have seen hundreds of comments across social media, tons of emails to our team, dozens of questions during our Q&A, and (at the time of this post being published) we have a 4.7 star rating on Amazon Prime. All of these factors combined are pretty powerful, and that helps us validate Total Time Watched as a metric we’re interested in tracking more in the future. Now, it’s important to keep in mind that this is just one campaign — the data is still maturing as I write this very post. 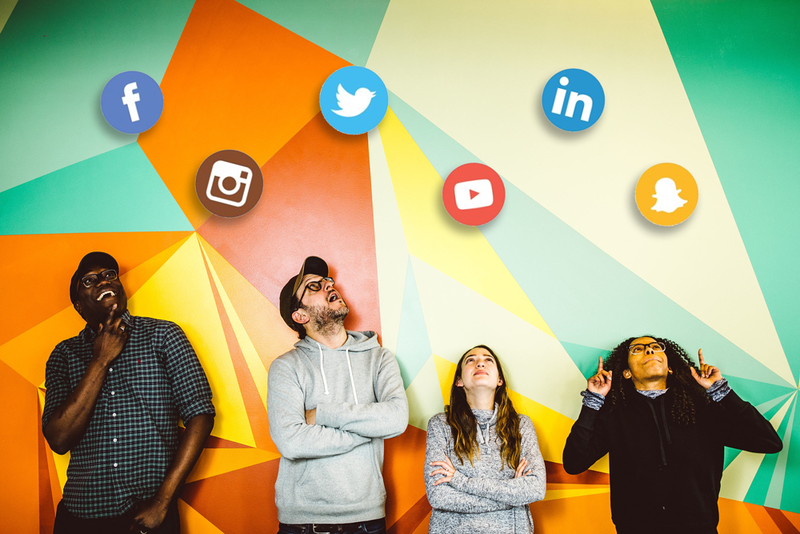 But, we’re confident that this metric can help put a more meaningful number to the goal of increasing brand interactions. Not only that, but optimizing for Total Time Watched challenges us to think differently about our overall promotion strategy, which is always a win. 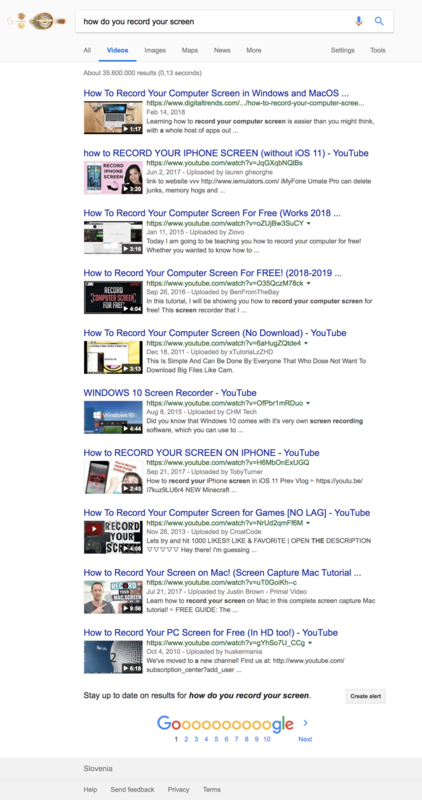 Here at Wistia, we’ve even invested in developing an entirely new feature in our product that will dramatically change the way marketers showcase their brand and optimize for that Total Time Watched goal. We’ll share more details on that in the coming weeks, but in the meantime, we’d love to hear how you’re tracking this metric and how it’s been working for you!